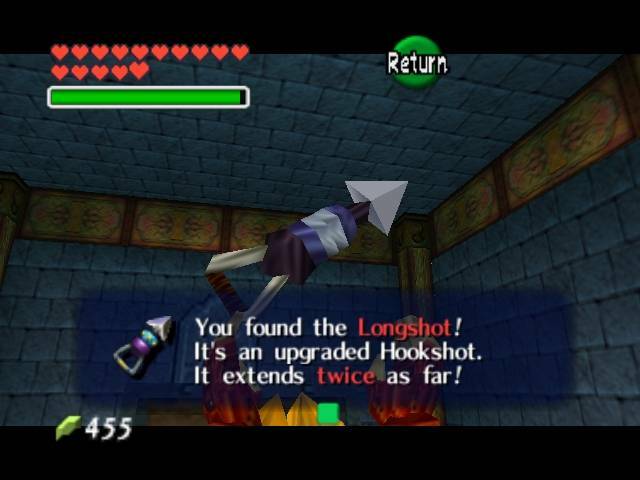 Game Theory: What does the Longshot do to Link? Over the course of his adventures Link has used many different kinds of weapons and items to help him defeat evil. Swords, bows, boomerangs, bombs: you name it. 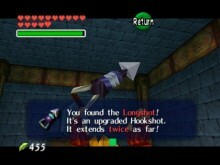 A Link to the Past introduced a new item to both aid in Link’s mobility while serving as a weapon: the Hookshot. The Hookshot has gone through various different iterations to do different things. Today Game Theory takes a look at that last iteration of the item and does the math: what would happen in real life if Link were to shoot his Longshot into a target and grapple towards it? Watch the video after the break and get a whole new dose of respect for the Hero of Time! The more astute of you will notice that the weight of the handle and the central part of the Longshot are not calculated: whether this was an oversight of the author or a compensation for the 20′ of chain that is conjured out of thin air is unknown. And the force exerted upon Link when he reaches his destination and gets to an abrupt stop is skipped over as well. But the next time you have the Hero of Time try and grabble onto, please know what you are about to put poor Link through.